Pakistan Monday promulgated a law to streamline the procedure for the implementation of the UN sanctions against individuals and organisations, amid mounting pressure from the global community to rein in the terror groups operating on its soil and curb their financing. The Foreign Office said that the government issued the UN Security Council (Freezing and Seizure) Order, 2019 in accordance with the provisions of Pakistan's United Nations Security Council (UNSC) Act, 1948. "The objective of the UNSC (Freezing and Seizure) Order 2019 is to streamline the procedure for implementation of Security Council Sanctions against designated individuals and entities," it said in a statement. Interpreting the order, Foreign Office spokesperson Mohammad Faisal said it means that the government has taken over the control of assets and properties of all banned outfits operating in the country, Dawn reported. "(From now onwards), all kinds of assets and properties of all (banned) organisations will be in the government's control," he said. India handed over a dossier to Pakistan to take action against the JeM, as pressure mounted on Islamabad to take action against individual and organisation listed by the UN Security Council as terrorists. On Sunday, Information Minister Fawad Chaudhry said the government has taken action against the proscribed organisations including JeM in the past and any future action against them will be taken in the light of the National Action Plan (NAP) and Pakistan's commitments in connection with the Financial Action Task Force (FATF). However, a top government source said that the Pakistan government has decided to launch a crackdown on terror outfits, including Jaish-e-Muhammed (JeM) chief Masood Azhar, in order to de-escalate tensions with India. The official had said the action against JeM is "expected any time soon". The new law is expected to help Pakistan government to fulfill its obligations towards the UNSC by expediting seizure of properties of banned groups and individuals. The US last month asked Pakistan to "freeze without delay" the funds and other financial assets of the UNSC-designated terrorist networks and their leaders. 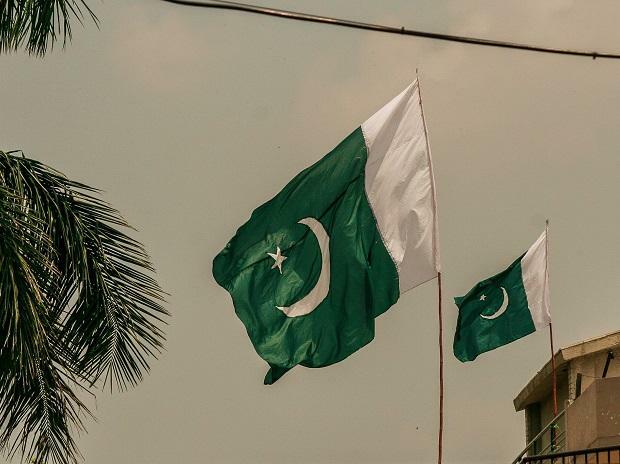 The FATF in June last year placed Pakistan onto its watch list in a bid to push the country to halt support for militant groups. In June 2018, Pakistan made a high-level political commitment to work with the FATF and APG to strengthen its AML/CFT regime and to address its strategic counter-terrorism financing-related deficiencies by implementing a 10-point action plan to accomplish these objectives. In its statement, the Foreign Office said that it may be recalled that the Chapter VII of the United Nations Charter authorises the (UNSC), acting under Article 41, to decide measures, not involving the use of armed force, to give effect to its decisions for the maintenance of international peace and security. In Pakistan, such decisions of the Security Council are implemented through the UN Security Council Act (UNSC), 1948, it said. The FO said over the years the sanctions regime of the United Nations Security Council have evolved. "A key measure of these sanctions regimes is 'assets freeze' under which States are required to freeze/seize the assets of designated entities and individuals as soon as they are designated by the relevant UNSC Sanctions Committee," it said. The UN Security Council (Freezing and Seizure) Order, 2019 has been formulated in line with UNSC and the FATF standards, according to FO.